1942 Slept late went To Harris. Homer has gone To San Francisco. Intended To go To San Fernando but went To bed instead. 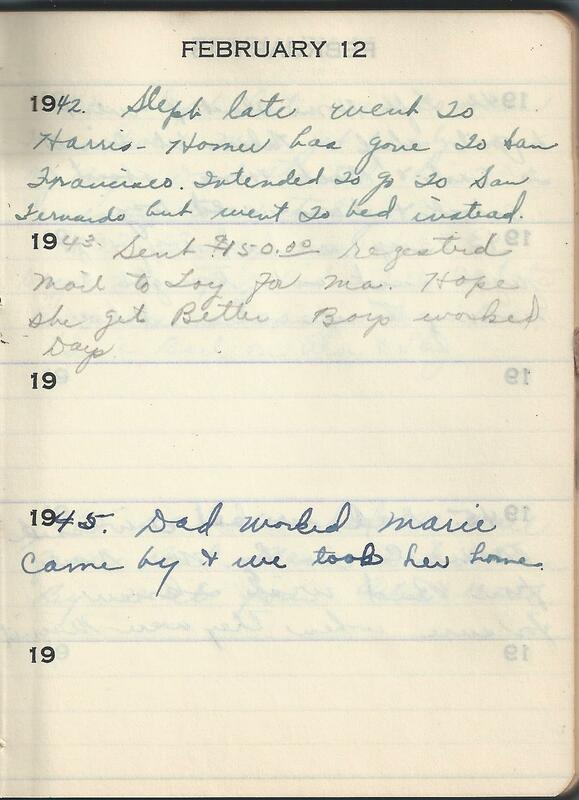 1945 Dad worked Marie came by & we took her home.